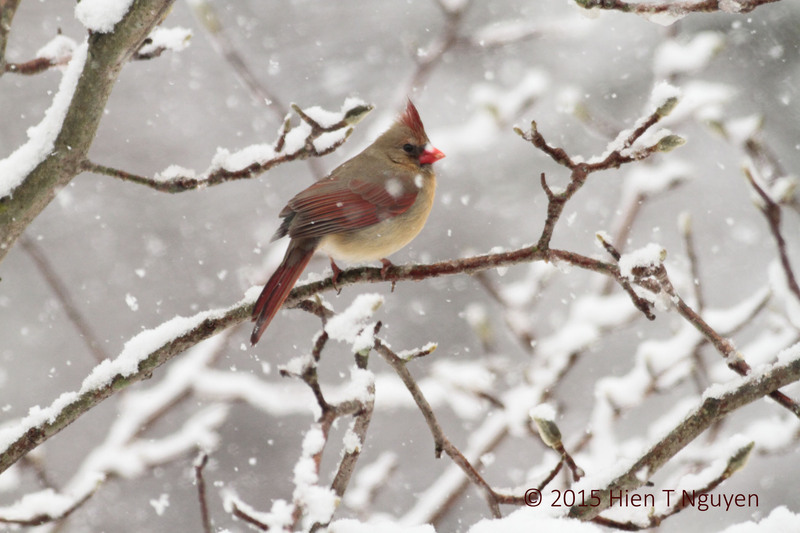 Yesterday’s snow brought many birds to our bird feeder. At one point I counted more than 20 juncos perched on it and on the nearby magnolia branches. 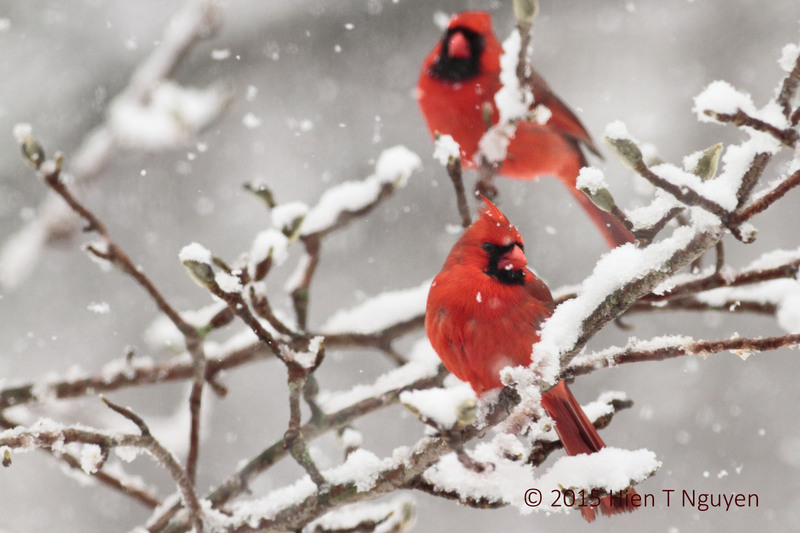 However, as usual, the cardinals stole the show with their brilliant colors. 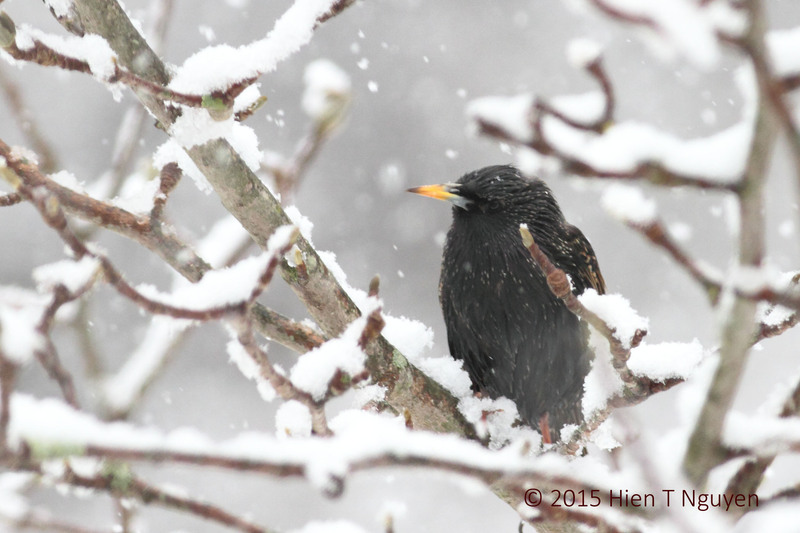 One lonely starling also came by. 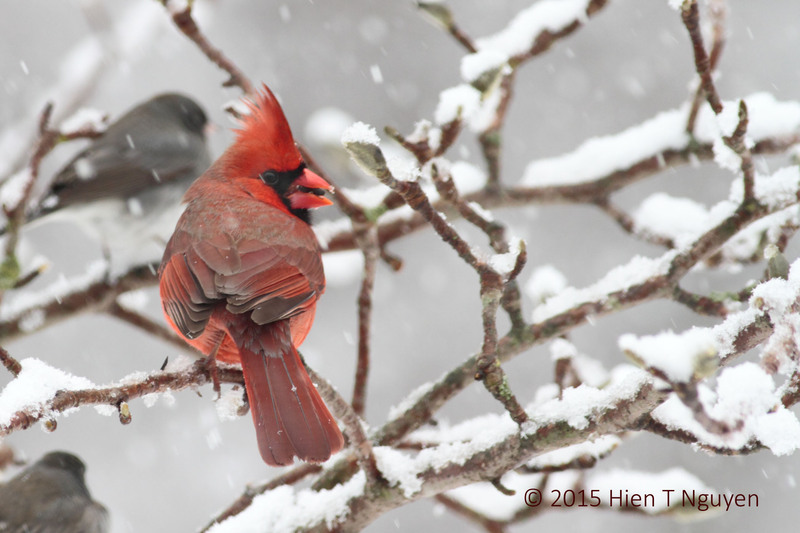 The cardinals are show stoppers! 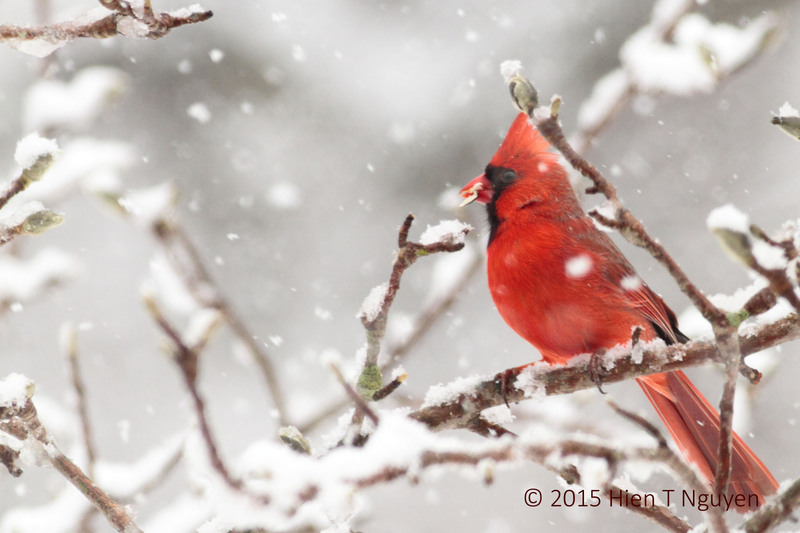 Gorgeous colors against white snow. Not that we needed the snow! Thank you Tiny! Thank you Beth! Red on white, yes! You are right of course. 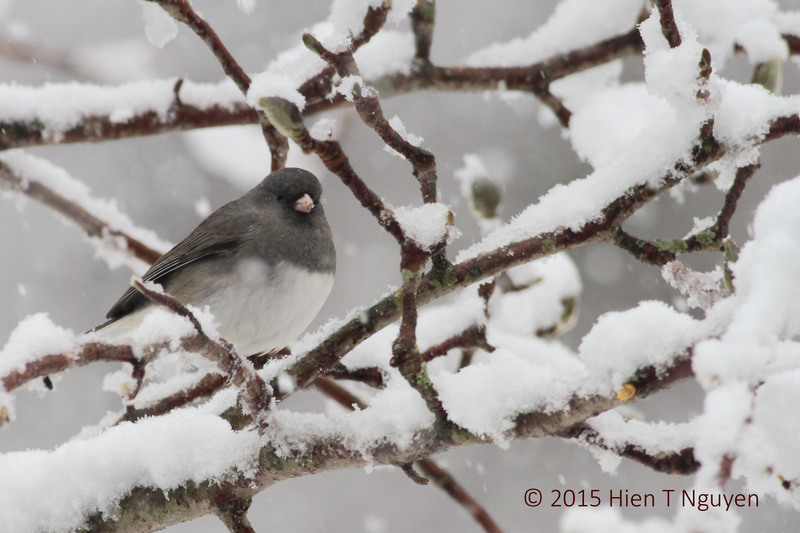 Those Juncos do look cute, are everywhere and never cease to fight among themselves. I don’t like the snow but it does make a wonderful contrast. New snow does provide good contrast. However, especially in cities, after a while it gets dirty and messy when it keeps coming down. You know that already, Sue, as I imagine Calgary gets a lot more snow than we do in New Jersey. Beautiful! Can’t believe so much snow, it’s mid of March. It just stayed overnight and now is melting fast. Spring is finally coming, maybe. Thanks Amy! Wow…you did get some good shots yesterday.